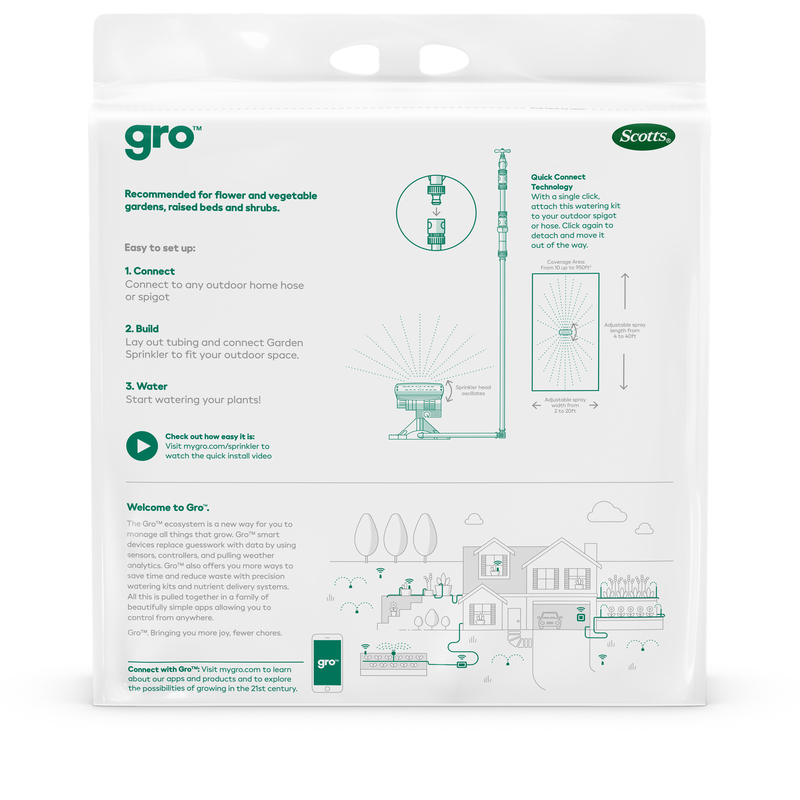 With Gro you're just three simple steps away from a whole season of hassle-free watering. 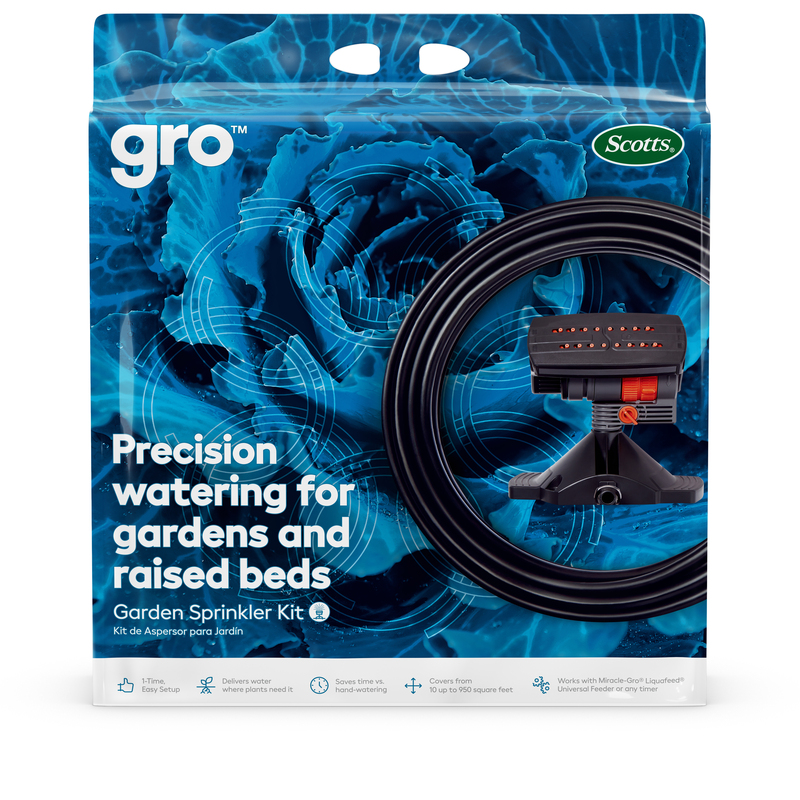 The versatility of the Gro Garden Sprinkler Kit can help you save water and time versus hand-watering. It can be configured in a snap to fit your specific yard space, timer or spigot. Spend more time enjoying your plants with Gro. Recommended for flower and vegetable gardens, raised beds and shrubs. Build - Lay out tubing and connect Garden Sprayers to fit your outdoor space. Covers from 10 up to 950 sq. ft.